Kichari is a classic Indian stew of white rice, mung beans, ghee, and loads and loads of spices. It's food as medicine at it's finest. It supports all the eliminatory pathways in the body (often done as a cleanse in Ayurveda), boosts metabolic fire, and provides a re-set to your digestive system, especially if it's feeling sluggish and overwhelmed. It can be helpful for emotional feelings of overwhelm too, as well as excessive anger and frustration, all of which often arise in the spring. Read more on this in my recent Harmonizing With the Spring post. You can add veggies to kichari too, and this recipe calls for locally abundant Nettles (Urtica dioica) and Asparagus for a particularly medicinal recipe. Both Nettles and Asparagus are classic spring tonics, known to invigorate the body and provide deep nourishment. Asparagus is a natural diuretic that wakes-up the urinary system, which is how we eliminate most liquid wastes from the body.... this is why it makes your pee smell bad! It also has a reputation as an aphrodisiac, and is loaded with trace minerals, anti-inflammatory antioxidants, and nutrients like Folate, Vitamin K, Chromium, Vitamin C, Zinc, Manganese, and Selenium. Asparagus really defines spring here in the Valley, and once the Asparagus stands start popping-up down in Hadley, I know it's really spring! In addition to the nutritional benefits, eating with the seasons nourishes us on a deep spiritual level, connecting us with nature and the place where we live. Psychology now has a theory that addiction and substance abuse is fueled by lack of connection to community, and- I would add- to the land and nature. How beautiful that something as simple as connecting with the seasons through locally abundant foods can support mental health and promote feelings of well-being. 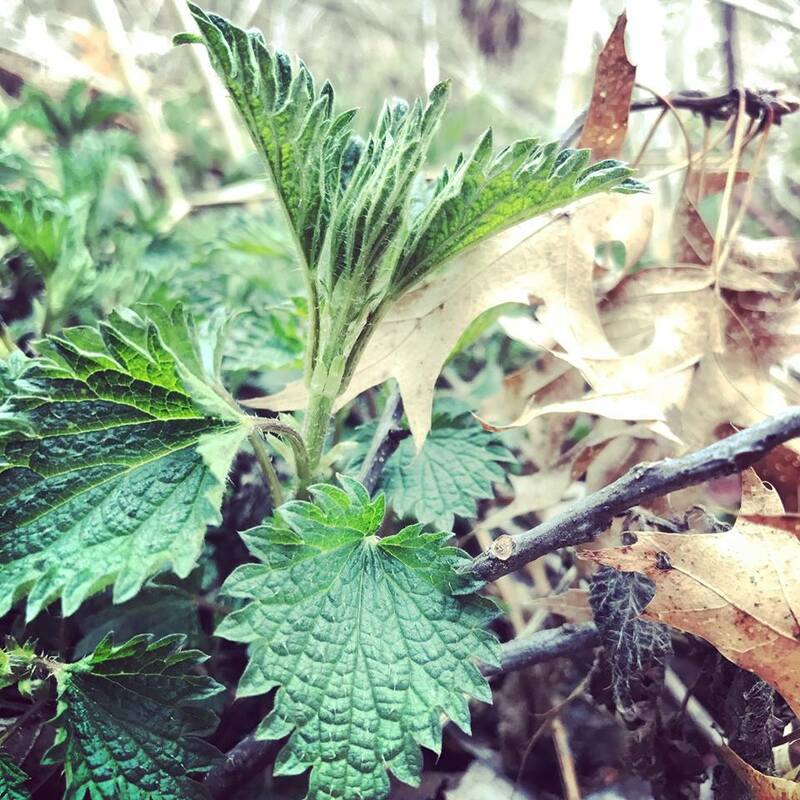 Nettles are also a classic harbinger of spring here in western Massachusetts, and almost every farm I know has a wild patch. Their season is April-June here, and then they have another season in the fall too if the patch is mowed in the summer. Read more about their nutritional benefits, ID, and harvest, and also how to make an amazingly delicious soup with them here! They're nutritional powerhouses (perhaps the most nutritious plant we know of) and have the same season as Asparagus. It's best to harvest them before flowering and this recipe calls for the top 4-6 inches of the plant, roughly chopped, leaves and stem and all. When the plants get older the stems can get tough, in which case you can harvest the entire aerial portions and strip the leaves form the stem, using just those. You can wear gloves when harvesting, but the sting is actually medicinal and anti-inflammatory for arthritic conditions! 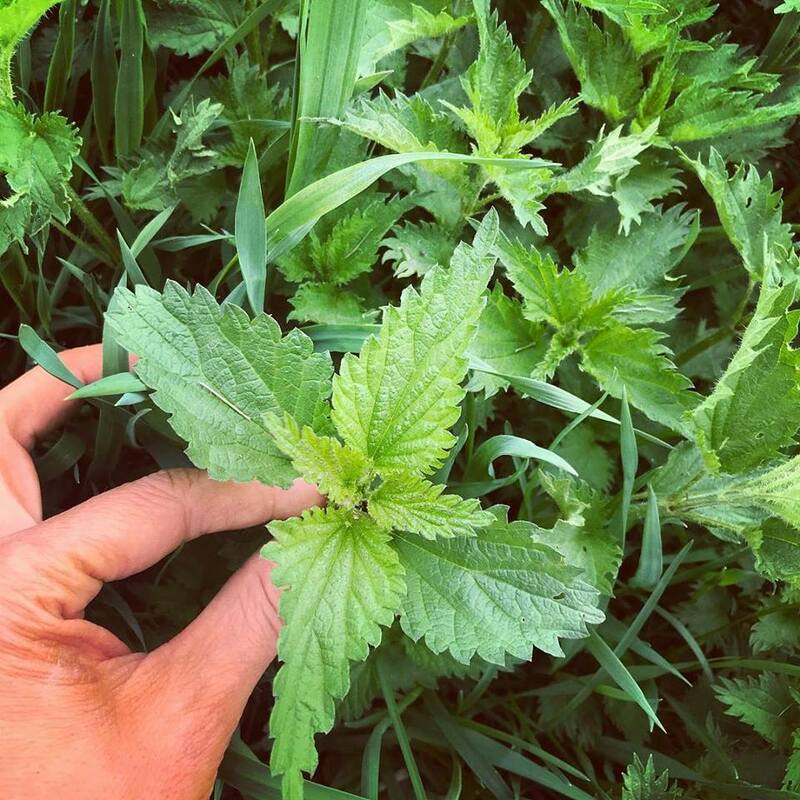 If you don't believe me, look-up "urtication" to read about the practice of applying fresh Nettles leaves topically to alleviate arthritic pain! Additionally, Nettles are classified as an "alterative" in herbal medicine, which is an herb that gently supports the major organs of elimination (liver, lungs, kidneys, skin, intestines) and improves their function. Why is this so important? When our eliminatory pathways aren't functioning properly (generally due to to being overloaded by our own metabolic waste and sometimes environmental factors as well) we can manifest a huge variety of symptoms including digestive problems, low energy, skin conditions, seasonal and environmental allergies, headaches, and body pain. Kichari, as a food, is an alterative! This medicinal stew is classically utilized in Ayurveda as a gentle and nourishing cleanse by fasting on just kichari for anywhere from 5-10 days which supports all the eliminatory processes of the body. The spices and ghee are central here, and the well-cooked rice and mung beans provide easy to digest nutritional support while the spices and ghee do their work of stoking the digestive fire, called Agni in Ayurveda. The body knows how to heal itself. Kichari is so easy to digest and assimilate that it gives your body a break from the heavy lifting of digesting so it can divert more energy into its own self-renewing processes without depriving it of food and nutrients. This is my version of cleansing; NOT a paradigm where the body is dirty with toxins that need to be removed or a fast where caloric intake needs to be tightly managed or even eliminated. That frame of mind sets you up for self criticism, negative self-talk, feelings of inadequacy and shame, and is not at all body positive. This about renewal, self-love, nourishment, and supporting the amazing vital processes of the body that it already knows how to do. If these medicinal virtues really speak to you and you're planning a fast of just kichari be aware that it really wakes-up the digestive system and you'll often be needing to eat a lot, so plan on one pot/day of the recipe below. It's suggested to take Triphala powder along with a kichari fast to further support elimination. Take 1/4 tsp in water in the morning and just before bed for about 3 days, then increasing dose to 1/2 tsp. You could use digestive bitters instead of the Triphala and I've got a recipe for those here. You can also enjoy kichari as a medicinal and versatile meal (which I often do), switching-up the vegetable portion to match the seasonal abundance at hand. NOTE: If Asparagus and Nettles aren’t in season, don’t worry! You can make this with vegetables in season or even leave them out entirely and this will still be a very medicinal dish!